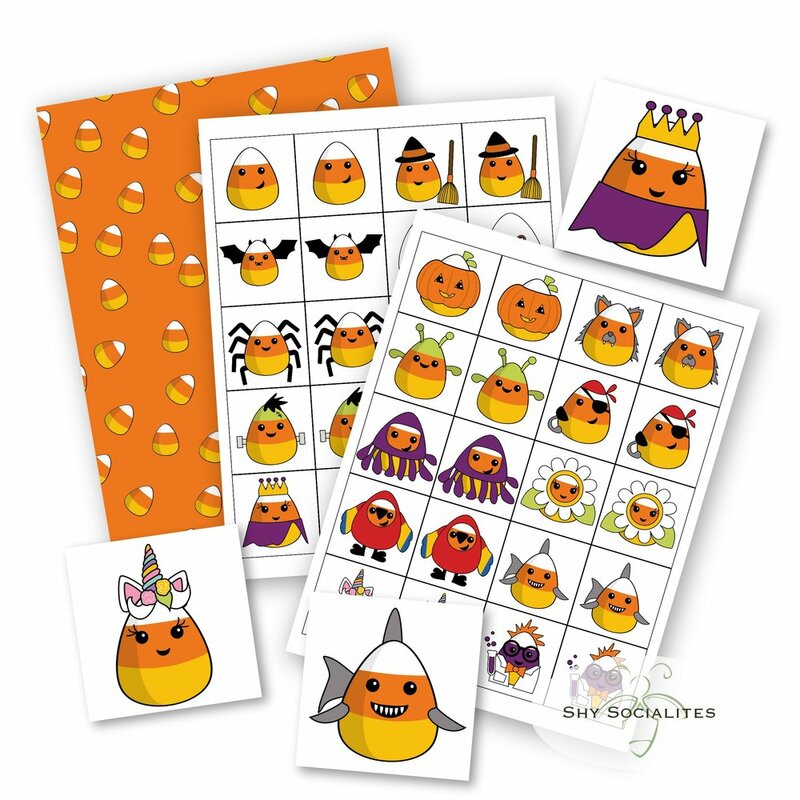 Cute Candy Corn Matching Game! Hello friends, have we got a treat for you! This free printable match game is a perfect way to keep your little goblins and ghouls entertained as they wait to trick or treat. Also a fun game to add to your Halloween party, or a nice quiet time activity. The line-up includes our favorite, Unicandycorn, as well as Pirate Corn, Candy Kitty, Mad Science Corn and many more. Print on white medium weight-cardstock. We are also including a coordinating pattern page for you to print on the reverse side, or you can use it for Halloween crafts. Get your coordinating pattern page here! There is still time to order a custom illustrated design in time for Halloween as well, you can order that here. Thank you so much, please leave a comment and share. It is our busy time of year! School activities, holidays coming up, my little one turns 5 in September, and Barbara’s turns 4 in October, not to mention both of our wedding anniversaries are in Fall! Where is the time going? We try to make things runs as smoothly as possible by being as organized as possible and planning, planning is key. We plan our trips (apple picking time! ), organize our schedule around activities, and try to keep our homes running as smoothly as possible (which for me, with 3 boys is not always that smooth). One thing we both like to do to is meal plan. It helps with time, budget, and making sure our family eats healthy meals. We have created and want to share with you this handy dinner-planning printable. It has a section for each day of the week along with a place for notes and a shopping list along the bottom. We have also created coordinating recipe cards, so you can quickly write down some of your favorite recipes and add them to you weekly meal plan. If you are planning a dinner party, we invite you to browse our shop for the perfect invitation! You can find us at Etsy and ShySocialites.com. 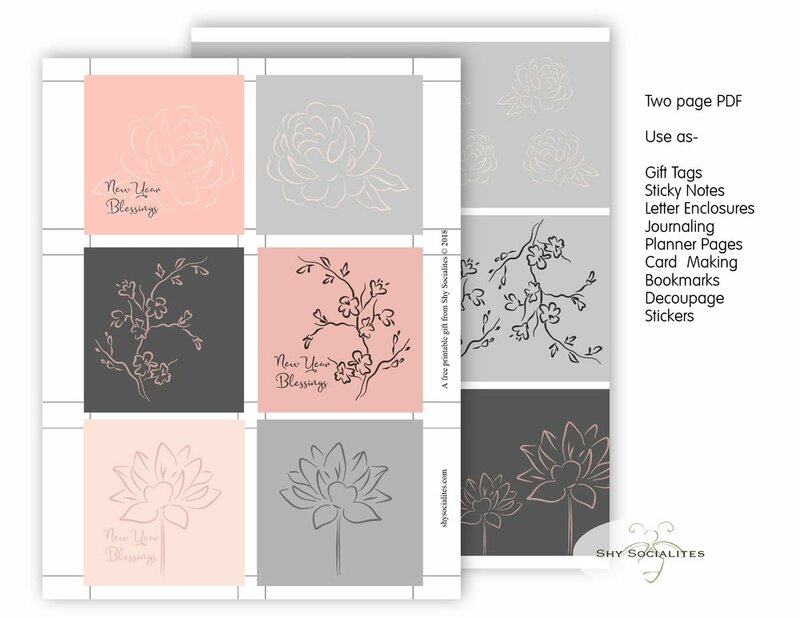 We are also available to create custom invitations, illustrations and printables to suit your needs. 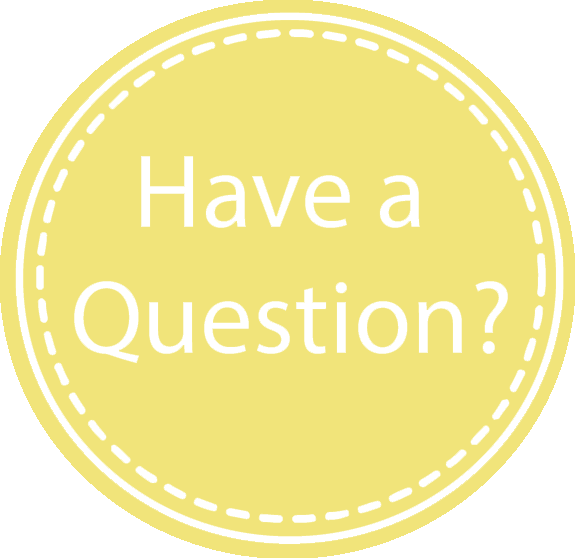 We would love to talk to you and help you plan your gatherings! Looking for more ideas for organizing your week? Visit Strawberry Blondie Kitchen where you will find a lot of tips to make your life easier, and some delicious recipes. This paper doll is our gift to you! We would like to take you on a tropical holiday, or at least make it FEEL like you are on one. Our shop is filled with fun Tropical inspired invitations and printables. Have fun browsing through our selection of delightful items. Have something in mind but don't see it in the shop? Let us know, chances are we can create just what you are looking for. Our gift to you today is the playful and fun Hula Monkey paper doll, all ready for an island get-away. Click here for your paper doll. View all the tropical invitations in our Etsy shop here. Thank you for taking the time to visit our blog, we truly appreciate it. Take a moment and let us know what you think of the paper doll and what kind of tropical designs you would like to see. Adventure awaits when you plan a safari-themed party or gathering for your favorite people! Whether celebrating someone's special day or just having fun with friends, a safari-theme is a great way to play! You can set up a safari scavenger hunt, have the explorers search from one clue to the next and end it with a special treat! If you have a wagon, you can turn it into a "boat" and take your guests on a jungle-themed cruise, setting up different scenes along the way, like a snapping alligator pond, rhinos on the savanna, elephants in a wading pool and giraffes munching from the trees (toy animals only, please). A craft station is perfect for your safari adventure, create friendships bracelets or decorate hats. Keep the foods healthy, fresh and light for the warm jungle, but give the food cute names like "Crocodile Cucumber", "Macaw Mac and Cheese", "Watering Hole Watermelon", and "Safari-So-Salad. A fun themed event any day is a great way to create a memory. No need limit you gatherings to just birthdays and holidays. We want to help you get started with this coloring page, our gift to you, a fun (and funny) Hippo and his bird friend all dressed and ready for their adventure. Click here for your coloring page PDF. The adventure begins here, take a look at these and other great invitations in our shop! We are always available for custom illustration and design. Summer is here, the perfect time for a mermaid themed party! Whether celebrating your special occasion at the pool, the beach, indoors or out, we have some of the splashiest mermaid invitations available. From beautiful faux glitter mermaid tail invitations, to cartoon mermaid drawings, we have something that will be a perfect fit for your mermaid princess! See something you like but need modifications? We can do that! And like all of the designs in our store, our Mermaid invitation designs can be turned into party kits, we can make banners, candy-bar wrappers, gift tags, coloring pages and so much more! We are ready to help you put your mermaid party together, and make your celebration go swimmingly! Have another theme in mind for your party? Contact us, we can create something just for you! Ready to "Bee" scheduled? You can keep your hive in order with the fun printable bee-hive themed weekly planner. Each color bee can be a family member, or a category (like work, school, so forth). The hive comes with a Key so you can keep track. Party in your plans? We have just the invitation or party printable you need in our shop! Don't see it? We do custom work based on your themes and ideas. The adorable Sweetheart invitation is inspired by our favorite candy! Sweet for a baby shower but can be modified for a birthday party, valentine's day party, bridal shower or tea party! This key invitation would be perfect for a hosuewarming, valentine party or to celebrate finding the key to your heart! Planning a Pirate Party or Play-Date? Looking for a fun Pirate activity? Enjoy this free coloring page from the Shy Socialites. A jaunty pirate-ship with your host "Pirate Parrot"! 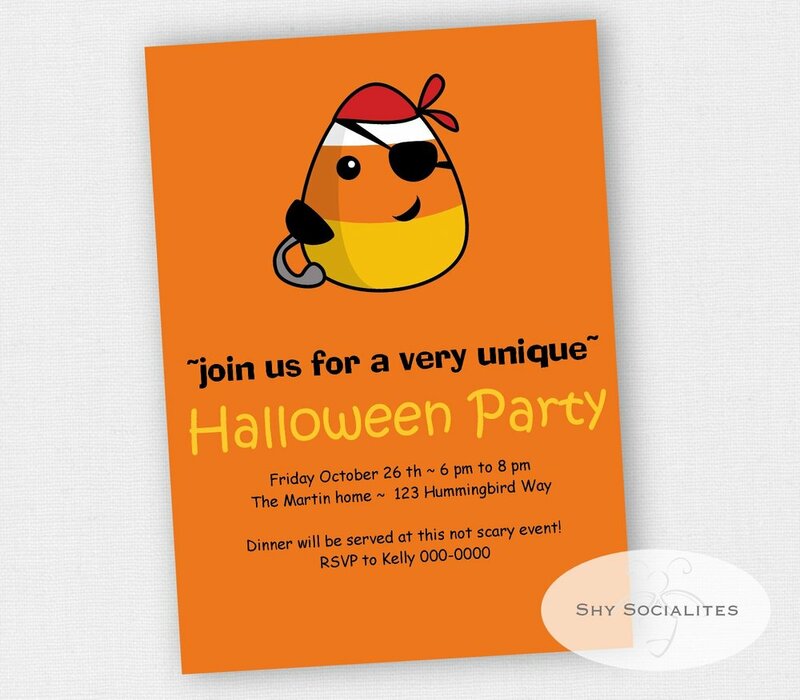 Looking for fun invitations for your Pirate Gathering? Here are some of our favorites, and remember we can make party kits to coordinate with any invitation in our shop!